Warmest morning of the week awaits you outside today. Temperatures range from the low 50s to lower 60s. I'm seeing haze along the Coast even with a light onshore breeze developing. The cooling sea breeze brings reality back to the Coast, but all other neighborhoods remain warmer than average. More records fall today. Watch out for patchy fog in the usual areas tomorrow morning with slightly cooler temperatures, upper 40s to middle 50s. 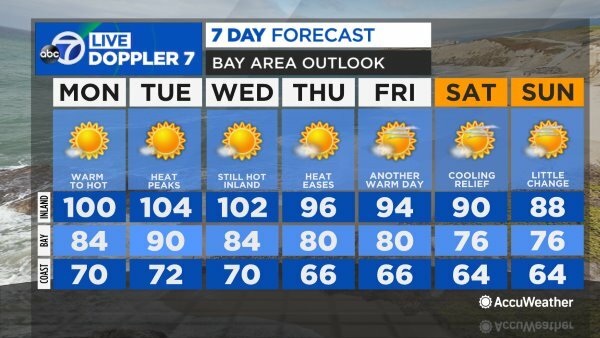 The cooling sea breeze reaches deeper into the Bay and takes away the 90 degree highs and eliminates any chance of record warmth.